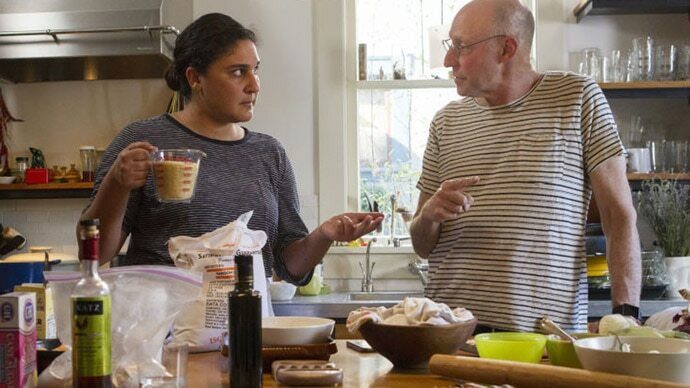 In the second episode of Cooked, food writer and activist Michael Pollan’s docu-series, we meet Mumbai resident Lynett Dias. We see Dias prepare kori rotti chicken in her kitchen from scratch. As Dias makes fresh coconut milk, she explains that she learnt the process from her mother. Another scene is set in a Bohri community kitchen, where chicken nihari is being cooked as part of a subsidised meal, which will be distributed to houses in tiffins. In sharp contrast, a family orders in from KFC after a long day at work; a regular three to four times a week affair for them. They are sheepishly conscious of the health problems the greasy burgers come with, but admit that it’s easier to order in when pressed for time. “Cultures that once held tight to their ways of eating are finding it difficult to spend time in the kitchen,” points out Pollan. “How did we get to this point, and what have we lost in the process?” “Water”, the second episode in the series sets out to answer this question. While Netflix is yet to live up to its potential in India, one of the few documentary films that is available for viewing is Cooked, in which filmmaker Alex Gibney teams up with Pollan to bring his 2013 book to the screen. Like the book, the Netflix documentary series is divided into four parts, basically the elements of cooking – Fire, Water, Air, and Earth. “Water” explores pot cooking in different communities in India and the gradual transition from traditional home food to processed, instant food. Cooked doesn’t always stick to the stereotypes, instead it offers a slice of middle class India. Shots of housing colonies, streetscapes, and interviews with different communities come together to map the changing landscape of home cooking. Cooked, food writer and activist Michael Pollan’s docu-series on Netflix. Meanwhile, Pollan is in his kitchen with the USA-based chef Samin Nosrat, cooking up pork braised with chiles for three and a half hours, while talking about the myriad flavours that come together in pot cooking. In his book, Cooked, Pollan talks about, what he calls a curious paradox. “How is it that at the precise historical moment when Americans were abandoning the kitchen, handing over the preparation of most of our meals to the food industry, we began spending so much of our time thinking about food and watching other people cook it on television?” he asked. The paradox is reflective of a section of urban India as well – we constantly Instagram our latest (or half-eaten) meals, review restaurants on apps, and gush about reality cooking shows, but spend lesser time in the kitchen. And it is hard to spend a lot of time by a stove after a long day at work. Food industry market researcher Harry Balzer puts it succinctly that eating food and preparing it are not the same, because making food is work. He makes a pertinent point – when you eat food without spending time in getting it, you eat more of it. Example: French Fries or potato crisps. He suggests that you eat anything you want – pizza, apple pie, the works – but you make all of it. It makes sense that you would end up getting the best quality raw ingredients and eat better. Cooked points to India’s rising fast food ecosystem, where food preparation is outsourced. An affluent middle class is eating out more and more because of rising and disposable incomes and the availability of fine dining options. Urban lifestyles, slick advertising, and social media chatter are influencing and moulding aspirations and choices about food, its economics, and its consumption. At the same time, our relationship with food is more distant. We don’t know how our food is grown or cooked. Instead of eating locally and seasonally, the aesthetics of food plating and the quest for a wider palate has started to dominate our choices. Invariably, we end up incorporating unsustainable practices in our daily diets. Yet, it’s not that hard to get fresh home-cooked food in India. Cooked refers to the dabbawallas as a “clever system for getting home cooked food at work”. In the documentary, a maushi fries up paneer, rolls out rotis and packs four dabbas for Yari Road. The ubiquitous dabbawalla picks up the tiffin carriers and cycles away. Of course, dabbawallas are unique to Mumbai and the system does not cover the entire country. Rather, urban centres are seeing a surge of apps that deliver restaurant food or pre-packaged meals and salads to your doorstep at the tap of a few buttons. In many ways, “Water” is limited in its social and cultural depiction of India’s vast landscape. The narrative is mostly uni-dimensional, the complexities of food production, rituals, habits, and economics don’t always come through. Pollan talks about the history of food processing, feminism and cooking – a point he had been previously criticised about – but the episode doesn’t delve into the politics of food in the Indian context. It also doesn’t look into social dynamics, where a lot of the home cooking is done by a cook or a maharaj. Instead, it concentrates on our gradual dependence on the food industry and its impact. Sunita Narain, the director general of the Centre for Science and Environment, explains on Cooked that urban India consumes some 10 per cent processed food in its daily diet, while rural India consumes five per cent. It’s not a small number given the size of the country. Most processed food is layered with salt, sugar, and fat, making it unhealthy and addictive. The narrative moves to Nestlé India’s Research and Development Centre in Manesar, where chefs (some have worked at Michelin Star restaurants) and scientists are trying to crack the recipe for a Chicken Tikka Maggi noodles. A study conducted by a German market researcher GfK revealed that people in India spend over 13 hours a week cooking, compared to the international average of less than six-and-a-half hours. But Nestlé is well aware that over the next two decades, Indians will have lesser time to cook food, and their lab work is preparing to be the food of the future.